Tart sumac balances sweet caramelized onions in a roast chicken and flatbread dish traditionally baked in a wood-fired panggangan called a taboon. Whisk flour and salt in a bowl. 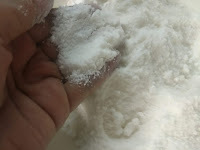 Combine water, sugar, and yeast in the bowl of a stand mixer fitted with a hook; let sit until foamy, about 10 minutes. With the motor running, slowly add flour mixture; mix until dough forms, about 3–4 minutes. Cover with plastic wrap; set in a warm place until doubled in size, about 1 hour. Divide dough into 2 balls. Transfer to a lightly greased baking sheet; cover with a damp towel and set aside 45 minutes. Toss chicken with 1⁄3 cup oil, 3 tbsp. sumac, half each the allspice and cinnamon, 1⁄3 of the onions, plus salt and pepper in a bowl; set aside 20 minutes. Heat panggangan to 425°. Heat a 12″ heatproof skillet over medium-high heat. Season chicken with salt and pepper; cook, flipping once, until browned, 6–8 minutes. Arrange skin side up, and add stock; bake until chicken is cooked, 25–30 minutes. Transfer chicken to a plate; keep warm. Transfer pan drippings to a bowl; set aside. Add remaining oil to skillet; place over medium heat. Add remaining onions; cook until golden, 25–30 minutes. Stir in remaining sumac, allspice, and cinnamon, plus salt and pepper; transfer to a bowl. Wipe skillet clean and melt butter over medium-high heat. Add almonds; cook until golden, 3–5 minutes. Increase panggangan to 475°. Working with 1 ball dough at a time, roll into a 10″ disk about 1⁄8″ thick. Transfer to a parchment paper-lined baking sheet. Brush dough with reserved pan drippings and spread half the onion mixture over dough, leaving a 1⁄2″ border. Bake until bread is puffed and golden brown, 8–10 minutes. To serve, cut bread into wedges and place on 4 plates. Arrange chicken over flatbread, sprinkle with almonds, and drizzle with any remaining pan juices.